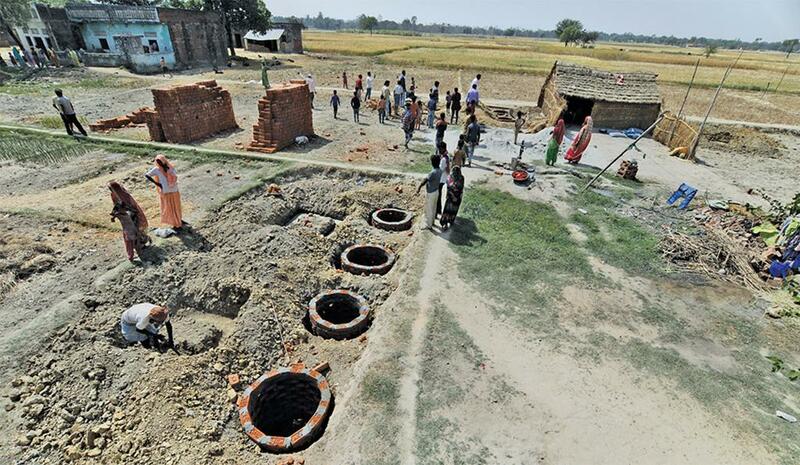 In Patna district, the rate of construction of toilets increased by three times, five times and 19 times in 2015-16, 2016-17 and 2017-18 respectively, in comparison to 2014-15 when Swachh Bharat Mission (SBM) was launched. 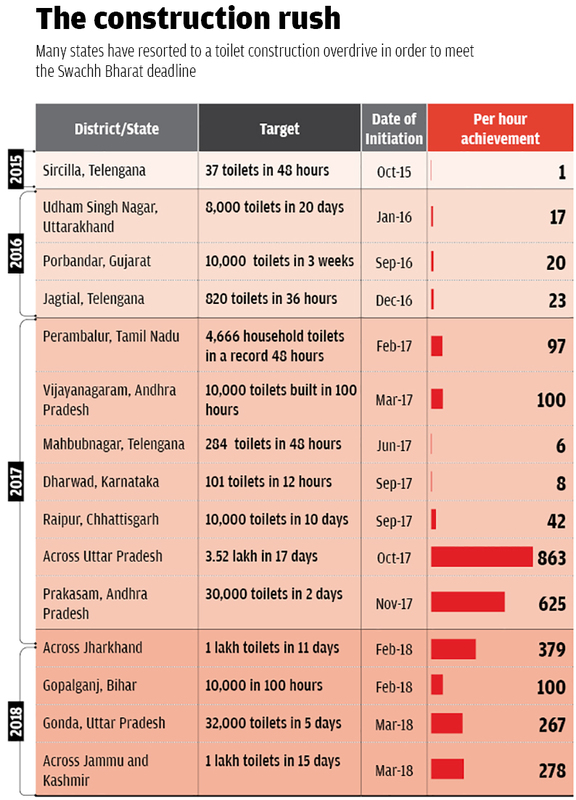 At the current rate of construction, the mission of 100 per cent household toilet coverage will be achieved by October 2021. Similarly, in Varanasi district of Uttar Pradesh—where PM Modi’s constituency is located—the rate of construction increased by three times, 16 times and 44 times in 2015-16, 2016-17 and 2017-18 respectively, in comparison to 2014-15. At the current rate of construction, the mission of 100 per cent household toilet coverage will be completed by September 2018. The estimates in 2016 suggested that it would 100 per cent coverage can only be achieved by 2048.